Beautiful rocking sheep from the beautiful brand Bloomingville Mini. 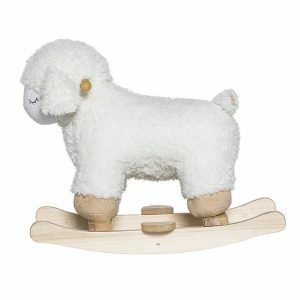 This natural Bloomingville Mini rocking sheep has a height of 48cm and is made of polyester and wood. 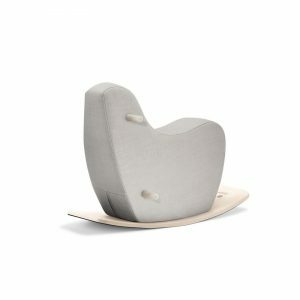 Designed in Denmark, the Bloomingville rocker features a stylish and chic aesthetic perfect for any space. Bloomingville Mini Rocking Sheep is part of the latest collection from this beautiful Scandinavian brand. 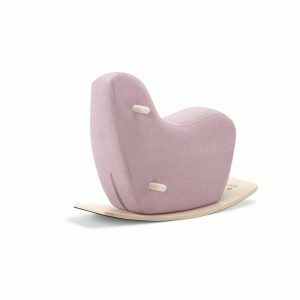 Combining timeless Danish design with modern Nordic styling, Bloomingville creates a range of beautiful children’s toys, soft furnishings and decor items. Founded by Betina Stampe in 2000, the company has grown from its humble beginnings; but the focus on high-quality, affordable pieces remains the same. 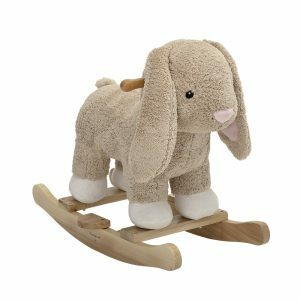 The label’s wooden toys fuel children’s imaginative play and allow them to experience the world of grown-ups in a magical way. While the tableware brings joy to mealtimes and encourages good eating habits. 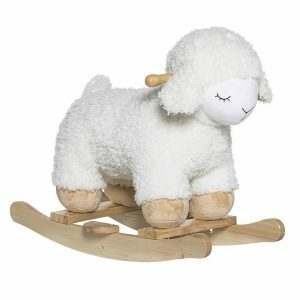 Bloomingville toys will be loved and cherished by your children for many years. They make a perfect gift or a special something just because.